Rajshi specialize in ROHS & REACH compliance Coating and Liquid painting that add value and durability to products. 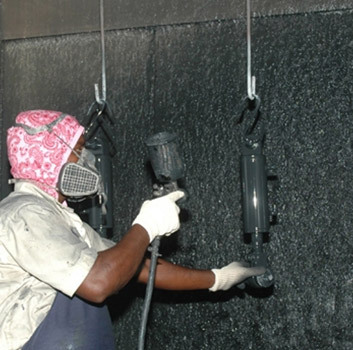 We have the coatings that will provide superior resistance to abrasion, corrosion, and heat. Our goal is to give your parts and components added durability and increased life. Pre-treatments such as chemical cleaning, media blasting, degreasing, conversion coatings, and precision masking and plugging for paint free areas are all available.